Save yourself a pile of time and use our Device Provisioning to configure both W52 and its successor the W56 (we also include instructions for manual configuration). 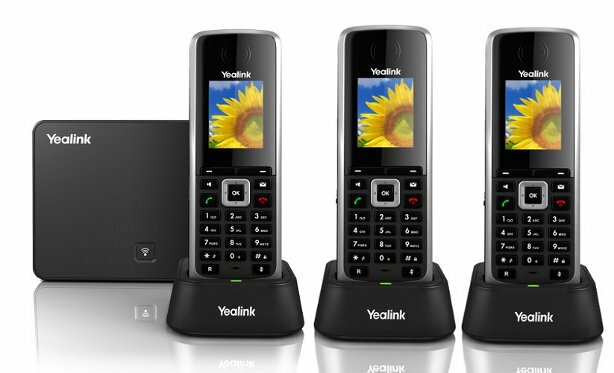 We treat the Yealink base station like any handset with multiple lines so there’s nothing special about configuring this family of phones using our Device Provisioning service. MAC Addresses: If you’ve purchased your phone through another reseller you will need to tell us the MAC address of the base station to enable us to associate that address with our Yealink partner account. If the phone was purchased through us you can disregard this step. Device Provisioning: Log into YourCloudPBX > YourCloudPBX > Device Provisioning (supply MAC address: add lines (in this case each phone will be a new line). The W52P base station can be powered by the supplied 120/240v adaptor or alternately from a POE switch. Install the 2 x AAA rechargeable batteries into the handset (and recharge if required). To find the base station web UI IP address press the front button on the base station to communicate its IP address to the handset. Password: is the password associated with the phone number. DSS Keys: Phone Tab | DSS Key >> use this to assign a variety of standard functions to the T28 10 function keys on the right side of the phone. Contacts can be imported into the W52P from either as XML or CSV imports. Import Contacts: Edit the file and import.